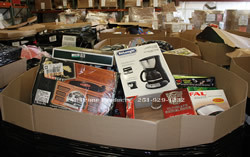 Truckloads of general merchandise, Closeouts, liquidations, returns, overstock, and more. Large national retail chains produce an ongoing supply. Hundreds of department stores and discount stores process many truckloads of closeouts, liquidations, customer returns, and more. It is part of the retail product life cycle. There is a way you can benefit from this. Department stores typically sell their closeouts, liquidations and customer returns truckloads at a fraction of their original wholesale price. That can give the small independent business just the recipe needed to cook up good profits. Buy for less than the large store chains pay and sell for less than they sell. The discounts can drive up sales and the lower cost can make the margins better than average. We suggest DIRECT SHIPPED of general merchandise truckloads and other products from many major retailers. 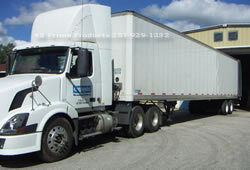 These are truckloads that ship DIRECT from the retailers distributing centers. That way you get the truckloads in tact as they left the distribution center without the risk of middlemen cherry picking your general merchandise truckload. We do not recommend purchasing truckloads or pallets that come from a middle distributors warehouse. A middle distributor would be a business that receives the merchandise from the retailers distribution center in their warehouse. Extra shipping costs are involved. The middle distributor is is a position to decide what you get and cherry picking and shorting general merchandise truckloads is common practice in the industry. There are many middle distributors and brokers in the business Why risk purchasing a truckload cooked up in a middle distributors warehouse, pay more and get less when you can get the load shipped DIRECT from the retailer. 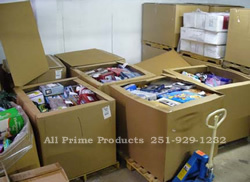 Large national retailers continue to produce truckloads of customer returns, closeouts, liquidations, shelf pulls and other general merchandise. Some truckloads get exported, some sell domestically. We encourage you to give us a call and we can provide details on current availability and pricing on our wide selection of general merchandise truckloads.